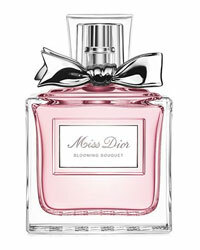 Natalie Portman for Miss Dior Blooming Bouquet perfume, a floral fragrance with notes reminiscent of the first days of spring. Created by Dior in house perfumer Francois Demanchy the fragrance includes notes of peony, mandarin, rose essence and white musk. 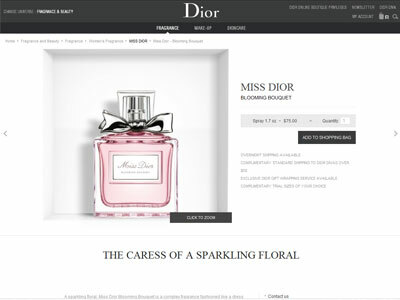 Launched in February 2014, the soft floral fragrance is available in eau de toilette spray (3.4oz/$98, 1.7oz/$75) and body milk (6.8oz/$61) from Sephora and Macy's.